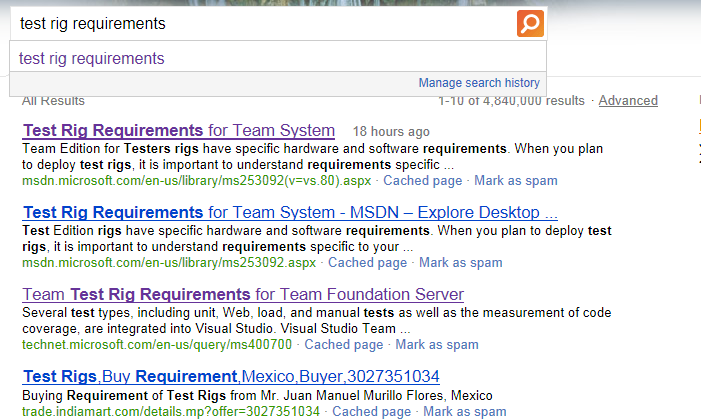 Are You Searching For the Latest Test Rig Requirements for Visual Studio ALM 2010? 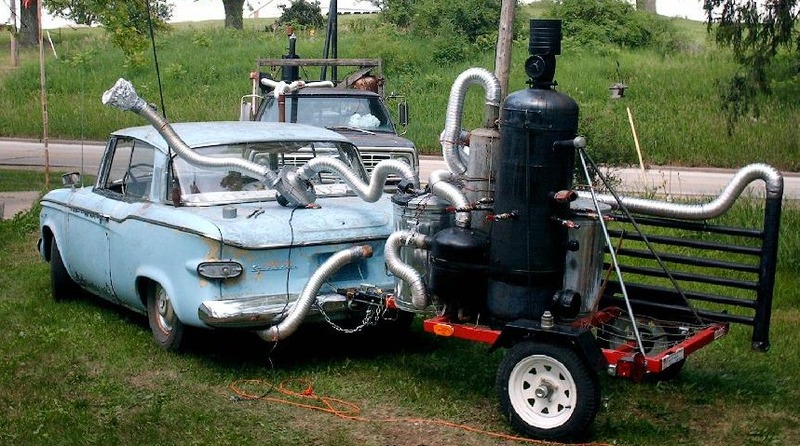 Say you’re looking for the latest hardware and software requirements for what used to be known as a test rig (not pictured above) in previous versions of Visual Studio, but is now known as a test environment in Visual Studio ALM 2010. Well, you might use an Internet search engine. But if you did, you’d receive little help finding the information you wanted, which –if you’re looking for Test Rig Requirements for VS 2010—you can find in the MSDN topic called, Test Controller and Test Agent Requirements. The top three results are links to MSDN pages, but because of the way Internet search algorithms work, the top link points to a page for Visual Studio 2005. This makes sense because this 2005 page has been around the longest and is the page the most people have linked to in forum posts or from blogs. This is the page with the most internet search engine juice. The problem is the page only contains the 2005 requirements. The two links below are a little better, both pointing to topics for Visual Studio 2008. Complicating the problem is the fact that the “test rig” nomenclature is no longer used by Microsoft. However, the software still exists. This makes it almost impossible to find. The top three results are also links to MSDN pages, but these are all Visual Studio 2008 pages, the last pages that officially carried the “Test Rig” moniker. I’ve been in meetings lately where there is a lot of talk about how to solve this SEO problem and many others much like it. Very interesting discussions. Meantime, I wanted to create post with “test rig” and “VS 2010” in the title, and then link to the MSDN page that contains the VS 2010 requirements for test agents and controllers. Hopefully this helps customers find the right topic! 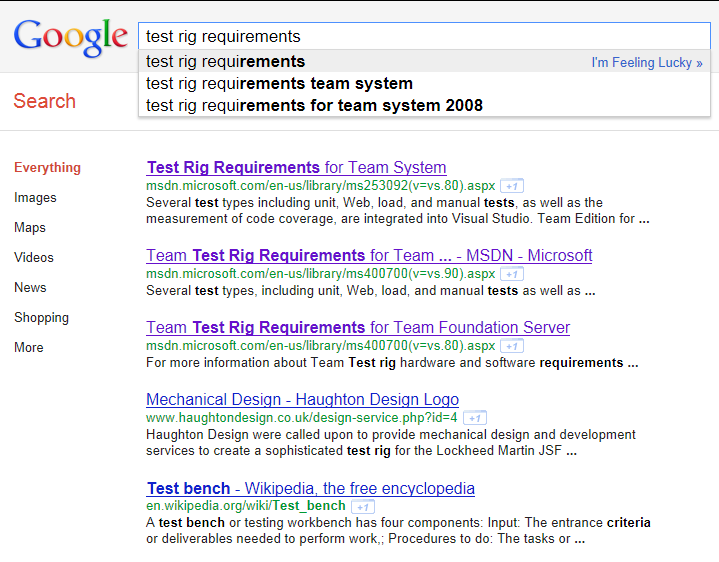 Categories: Words | Tags: internet search engines, MSDN topics, test rig requirements, Visual Studio ALM 2010 | Permalink.